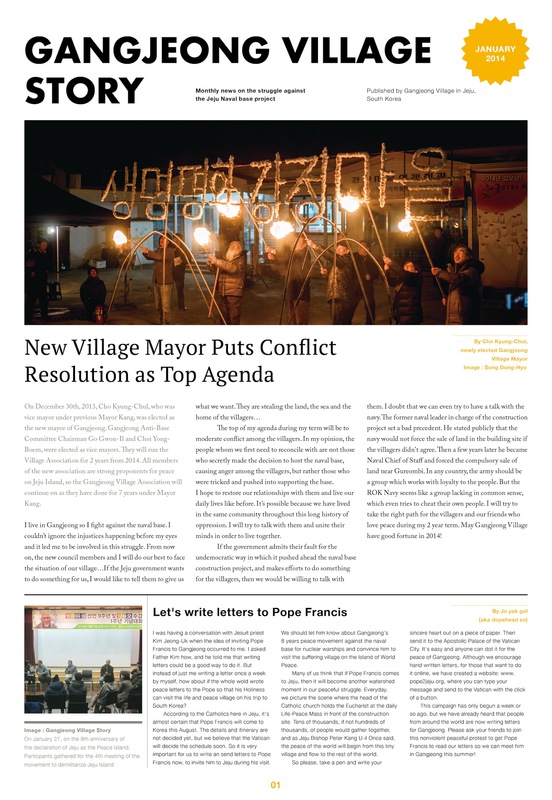 The Gangjeong Village Story monthly newsletter has undergone a redesign for 2014! Thanks to the help of the designers at Everyday Practice for their great assistance. In addition to the fresh new look, the online PDF version available here is now easier to read. The old version was designed only for print but this new version is designed for both! Enjoy! 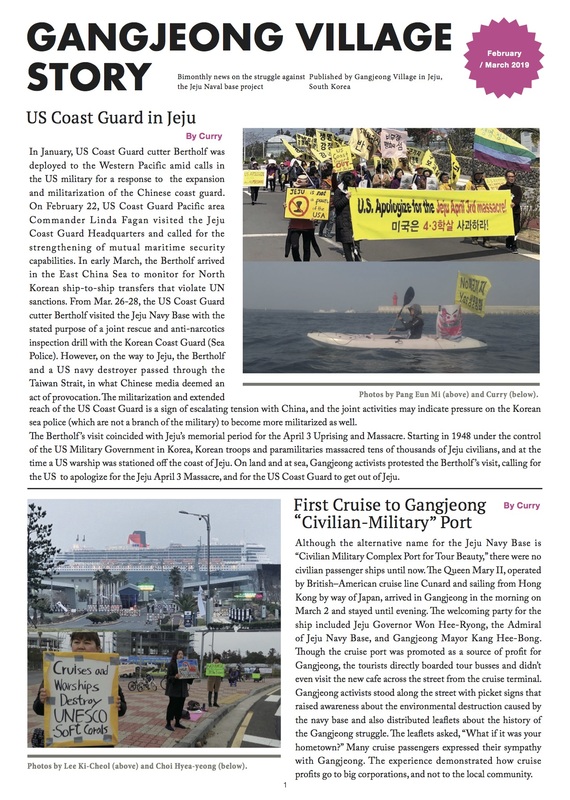 Gangjeong elects a new mayor, letter writing campaign to Pope Francis starts, Solidarity updates from Henoko/Okinawa and Odisha/India, Solidarity from Hawaii, Gangjeong Peace School, Entry Ban Lifted, Letter to Yang Yoon-Mo, trial updates, and more!